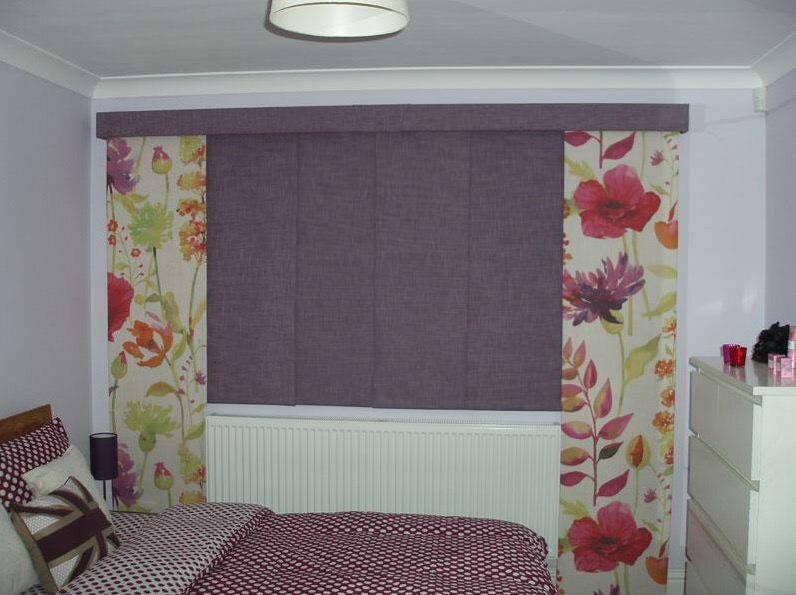 Our Curtain Panel Blinds are on our Panel blind headrails and are a perfect way to display beautiful fabrics. 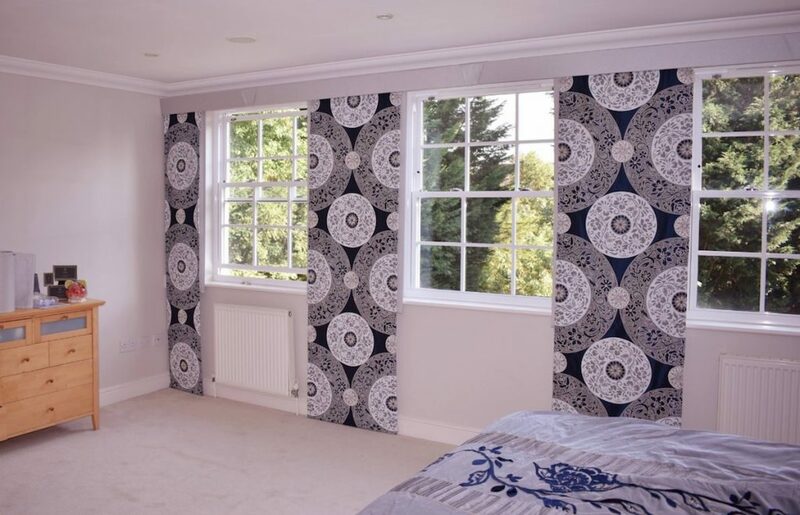 Let’s face it, curtains don’t show off expensive fabrics! 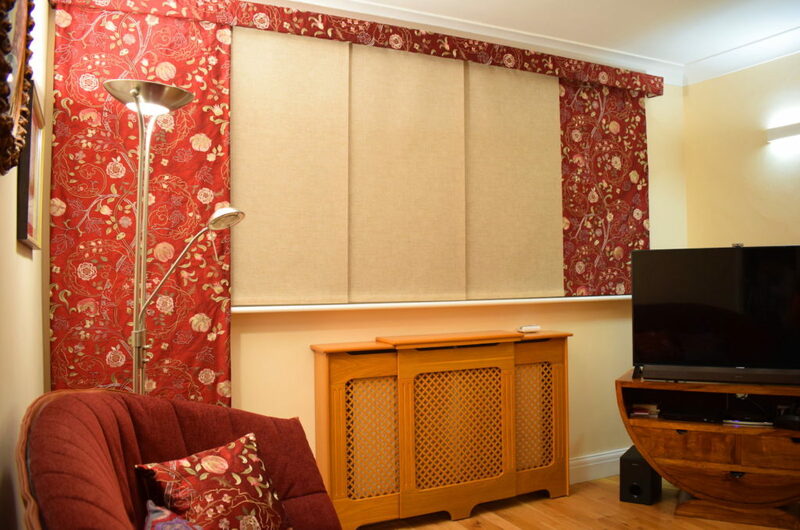 It’s a good idea to blend patterned panels with plain and it can keep the cost down, particularly if the plain is simple ‘Roller Blind’ fabrics. 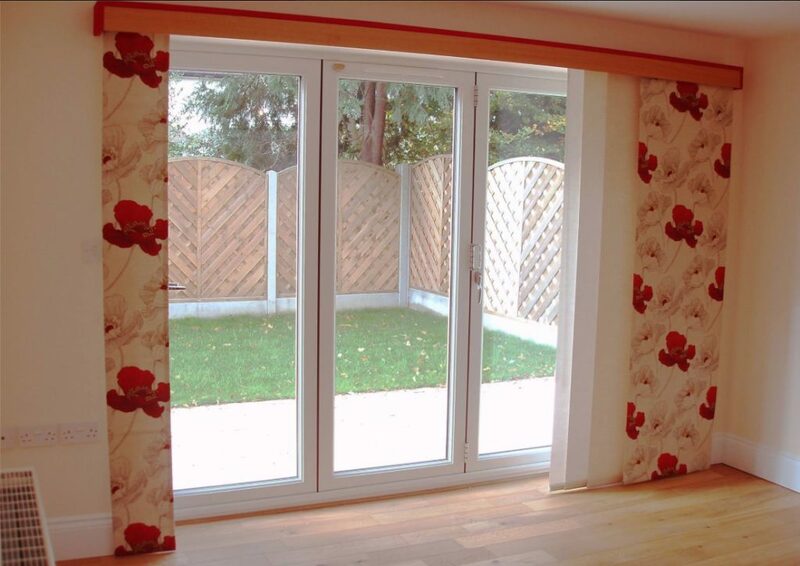 What makes our curtain panels special? Each curtain panel is made rather like a Roman blind with stabilizing rods and interlining whereas each plain panel is simply cut out like a Roller blind. The panels all stack behind the patterned ones usually! Pelmets retain the simple clean-cut look. 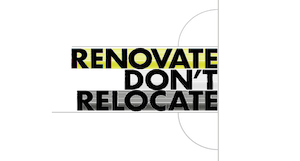 If you’ve seen curtain panels that don’t look great don’t be put off- many firms don’t know how to make them; made properly they look perfect! Be inspired! 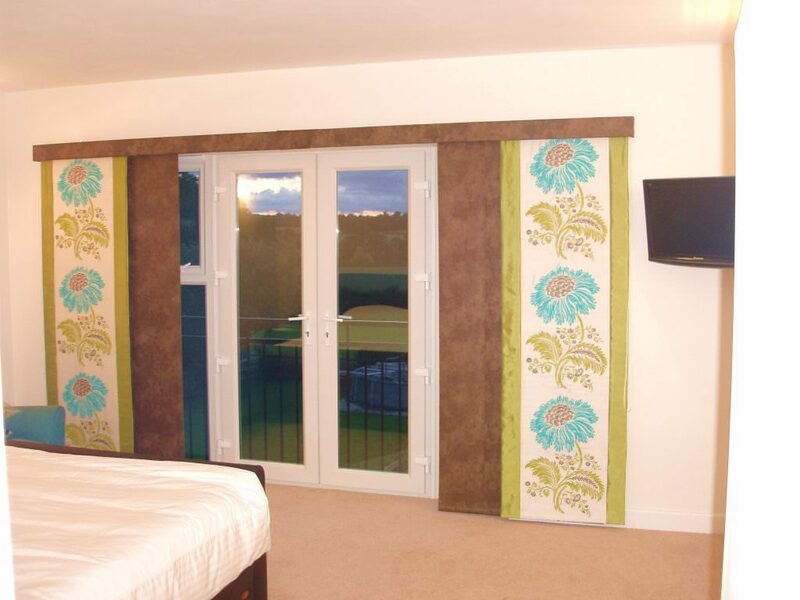 Why not review some examples of Curtain Panel Blinds we've done for other customers?